Looking for that perfect gift for someone special? 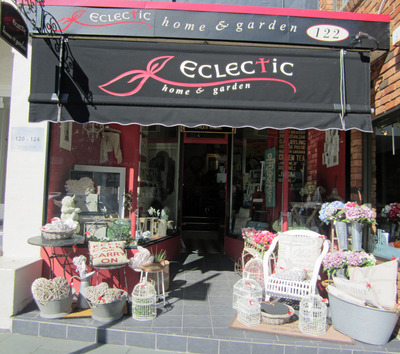 Go straight to Eclectic Home and Garden in Cronulla. Being rather lazy or clever (unsure which), it's the place I go, guaranteed to walk out excited and smiling, gift in hand, mission accomplished. Oh! It is beautifully gift wrapped at no extra cost. Maybe I am clever? 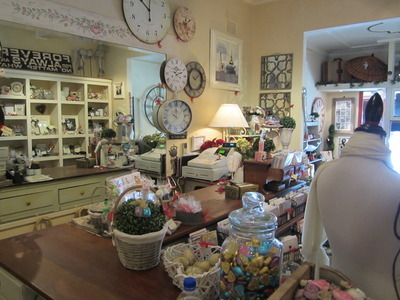 Owner, Sue-Ellen fills her shop with objects 'she' loves and is assuredly detail oriented, right down to the miniature red ribbons which tie the price tags. She has considered both genders and just about every age with her wares. 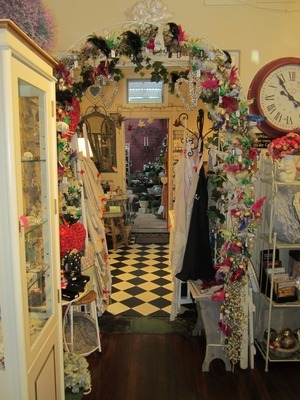 As the name implies, this picturesque shop is abundant with an eclectic mix of handpicked treasures and unique wares, reminding me of a fanciful scene from Alice in Wonderland. Checkered floors map out the small rooms and hallway. Clocks and mirrors adorn the wall, a side board filled with gorgeous pastel tea cups and pots, taupe and white aprons hang on hooks, frilled cushions sit on French inspired chairs, jewelled boxes, petite tables, maps and boats, yesteryear children's toys, enchanted garden wares and inspired signs to name a few meticulously placed wares, a sight to behold. 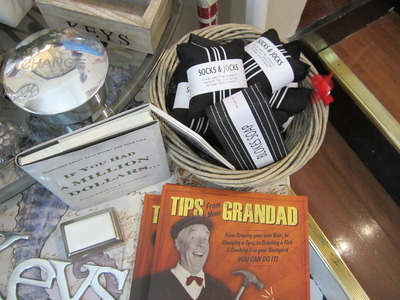 Catching your eye, a collection of intriguing 'man' gifts, cleverly positioned at the entrance. You can almost also hear the sigh of relief coming from the men who have been 'dragged' into the shop. Choose a pretty pen and note book for around $2 or a silver jewelled book mark at $25 are great 'Thank You' gifts. 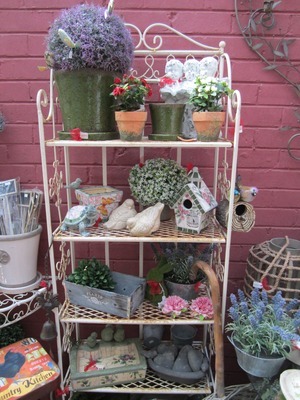 Grandma will love you when she receives a pair of ceramic love birds for the garden @ $15 each. 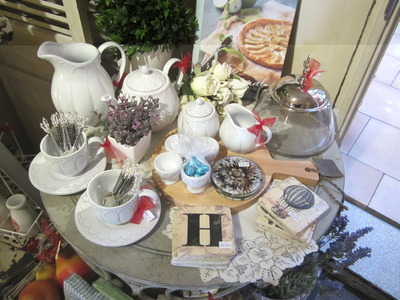 Spoil your mum and choose one of the tea pots with matching tea cup and saucer, add a crystal top spoon to delight her. Each sip of her tea will remind her of you. Around $45 for a set. Think romance for your girlfriend (you can never go wrong). 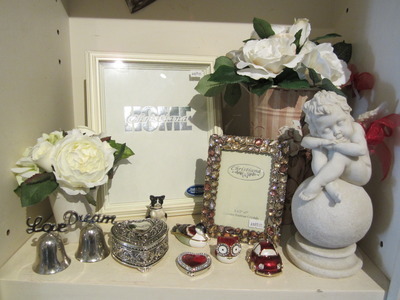 Perhaps a mirrored trinket box, petite pearl table clock or a crystal perfume bottle. Yes you can buy her an apron (and avoid being hit over the head) this selection is delightful to hang in the kitchen. Items vary, starting around $30. Men never know what to do with the coins in their pockets. Give your man a silver change bowl. When it is filled you can go out and buy something for yourself, at $25 a great investment! Pick up a few 'Socks & Jocks' for your teenage son. They are aromatic sachets to scatter in their drawers, in striking black and white stripe material, very blokie. $15 for a pack of 3 will last for years. 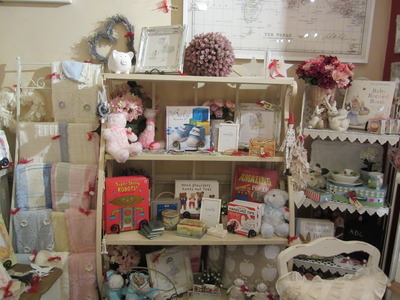 Old world inspired toys, rag dolls, books, bed throws, keepsakes for babies and young children will register huge smiles on the 'cute' barometer. 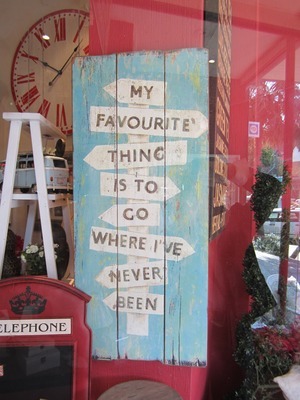 Signs are very popular, with written words to ponder, they add a touch of serenity to hang or place in your home. They come in a variety of muted colours and wording. A metal archway, adorned with glittered birds with clips, starting from $4, a great idea to decorate your Melbourne Cup hat perhaps. Can't decide what to give or in a hurry? Use my all time favourite stand by gift; a Photo Frame! They suit a birthday, christening, engagement, wedding, thank you, for everyone. Grab a card and ask for it to be gift wrapped. Voila! A perfect gift in 10 minutes, too easy. Or feel like spoiling yourself? Go right ahead, the ideas are endless, and each time you venture into the shop, you uncover new and exciting gifts to purchase for everyone. 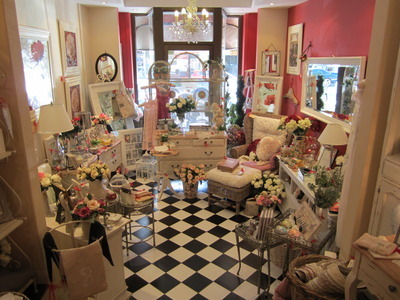 First Timers Be Warned: You will spend quite some time browsing this 'eclectic' shop. Why? Why? Lazy or smart person’s ideal shop for prezzies.